Aadhaar card is slowly becoming more and more important for us. It is being accepted as identity and address proofs in all cases. And soon it will replace all other ID's if it goes according to the government's plan. Since it is being made for every Indian, chances are there are a few errors in the process as well. Some people have faced it and have some of the information wrong. So we are bringing you a guide for changing the Address, Name and Surname online. Make a soft copy(Scan) of the documents for uploading. Make sure you self-attest a copy of the proof along with your name before scanning. Login to the Aadhaar Card Online Self Service Update Portal situated here using your Aadhar No. Upload the Self Attested Proof of Identity along with the request. Once the request is published you will be given an Aadhaar card update request number. This can be used for checking the status of your change request. 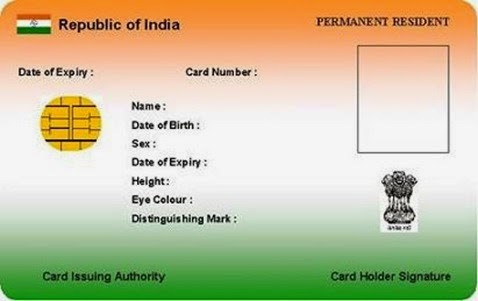 After all the proceedings are done, a re-issued Aadhar card will be sent to you. You can check the status of your change request here. The copy to be uploaded must be self-attested along with your name clearly written on it. The steps involved are practically the same. Including logging in with your Aadhaar No., sending the correction and uploading the proof of Address. Then checking the aadhaar card update status. This way you can make Aadhaar Card correction online.